Nature gold ng-wc-04 5 ltr. 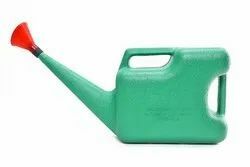 Flat shape green colour watering can. Water your plants in stylish and fashionable way with convenience. Rolling Nature’s Plastic Watering Can is useful & universal watering tool. Used extensively for household lawns & gardens. Usage/Application: Green, Red, Yellow etc. Good quality plastic for years of leakproof and rustproof use. Sturdy handle. Designed for free flow of water without spills. Our affluent industrial knowledge aids us in providing an extensive series of Plastic Water Can. We are one of the reliable companies in this domain and are into offering Plastic Water Can. 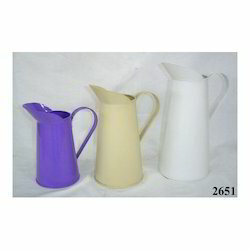 Our company holds vast experience in this domain and is involved in offering Watering Can (5 Litre).